Mansfield Park is one of the three “Chawton Novels” written at Chawton House where Jane Austen lived towards the end of her life with her sister, mother, and dear friend. It is a hotly debated novel; some readers find it the most mature and satisfying of her works while others contest that it is tedious and their least favorite of her works. Opinions were divided then, just as they are now. There was no contemporary criticism or review of Mansfield Park; however, Jane recorded opinions on the novel expressed by family, friends, and neighbors. She wrote down the good, the bad, and the ugly without praise or censure for the commentator or his/her commentary. One opinion that appears over and over again in Austen’s record follows her own sentiments that Mansfield Park was ‘not half so entertaining’ as Pride and Prejudice. Apparently most people, then and now, don’t hate Mansfield Park, but they all seemed to agree that it is not as good as Pride and Prejudice (Hannon 95). At the center of some of the controversy is the novel’s heroine, Fanny. Some readers find her endearing and think of her as tenderly as the author does. Others find her too solemn, judgmental, pompous, and quite honestly, just no fun. Claire Tomlin sees Fanny’s heroism emerge when she rejects “obedience in favour of the higher dictate of remaining true to her own conscience” (Tomlin 230). 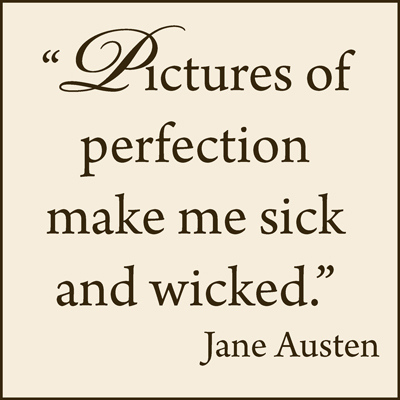 This interpretation would likely have been shared by Austen’s sister, Cassandra, and their friend, Martha Lloyd, both of whom approved of her. In contrast, Austen’s mother ‘thought Fanny insipid,’ and Austen’s niece, Anna (who was quite intelligent and spirited), ‘could not bear Fanny’ (Hannon 94). I must admit that I find myself encamped with the latter – Fanny’s “wilting violet” routine became quite trying to me in this day of women’s liberation. I would often forget that Fanny was even a part of the story. She was so quiet, demure, and correct that it was easy to ignore her part in the novel. Her constant acceptance of her fate drove me insane. Her lack of a fire in her room is a prime example – she was cold, but she refused to ask for a fire to be built or to build one herself. I like characters who strike me as “doers” (even if what they are doing is wrong), and for the majority of the novel, Fanny isn’t a “doer,” she is content to just “be.” Only towards the end does she take a stand on something, but even that stand is a passive one. She doesn’t actually DO anything; she just refuses to do something – those are not at all the same thing. She was simply too passive and submissive for my tastes. All I can say is that Fanny Price is certainly no Jane Eyre. Fortunately for Mansfield Park, the plot does not live and die with Fanny Price. Austen also provides characters who are infinitely more entertaining. As a child, Fanny comes to know the Bertram children: Tom, the useless indolent first born; Edmund, a deeply serious and kind young man; and Maria and Julia, sisters who are spoiled and self-indulgent. Then as the novel progresses, Austen introduces us to the Crawford siblings (Mary and Henry), a brother and sister “from town” who bring opportunities for shenanigans with them to the Bertram’s neighborhood. These characters provide much of the action and entertainment to be found in the novel. Oh, Gag! Come on, Henry… you know all that shyness isn’t nearly as much fun as the alternative. Of these secondary characters, I must admit that I liked Henry Crawford far more than I was supposed to. There is something about him that I find irresistible in spite of the fact that his moral corruption is undeniable. He is equally as useless and indolent as Tom Bertram, but for some reason, I like Henry Crawford much more than I like Tom. Henry is fun and vivacious and a thoroughly enjoyable character, which is why I absolutely cannot believe that he would fall in love with Fanny. The only thing I can imagine that Henry Crawford would find fascinating in Fanny is the challenge she might present him. His pride finds it intolerable that there is a woman who refuses to engage in the slightest flirtation with him.The most likely explanation for his supposed devotion to such an insipid and weak character is that Henry is a victim of his need to be a “player.” He enjoyed “the game” with the Bertram girls, but they were too easy. He needed to conquer Fanny’s frigidity for his own pride and self-gratification. Nonetheless, I still find Henry captivating and interesting. Now… that’s more like it! Opinions on Henry Crawford were and still are as divided as the attitudes about Fanny. One of Jane’s nephews, Edward, preferred Henry Crawford to Edmund, whom he called ‘cold and formal.’ Austen’s brother Henry also liked Henry Crawford, but interestingly, Jane felt the need to qualify his admiration of the morally corrupt Crawford by stating that he liked him ‘properly – as a clever, pleasant Man’ (Hannon). Henry Crawford’s role is essential to the plot of the novel, and Austen did a wonderful job of creating a character whose personality lives up to his importance in the action of the novel. Unfortunately, the same cannot be said of other characters in Mansfield Park. Tom Bertram’s only role in the novel seems to be his inability to be what he should be. He exists only to contrast Edmund’s moral perfection. However, given Austen’s background, I can also see Tom Bertram as a statement about what was wrong with much of the landed gentry in England. He is selfish, shallow, and a disappointment to all those who know him. He is a particular disappointment to any who dare to depend on him. Austen never explains his early return from Antigua, although she certainly leaves room and opportunity for the reader to guess the reasons (much like we are able to speculate as to the causes of the downturn and recovery of the Antigua plantation). One likely reason for his return is that Tom’s self-indulgent behavior thwarted his father’s plan for the trip to be a learning experience and an opportunity to mature for Tom. The plantation society with it society function and balls would have offered Tom ample opportunity to cause problems for himself and his family with his irresponsible antics. If his actions upon his return (the setting up and the choice of a theatrical production at Mansfield Park) are any indication of his actions in Antigua, it’s little wonder that he returned home unexpectedly. Sir Thomas took his oldest son, the heir, to one of the family’s most important holdings, and Tom obviously offered nothing toward the improvement of the situation. If anything, it can be argued that his presence was detrimental to Sir Thomas’s efforts; therefore, Tom found himself sent home to cause problems in a location less essential to the economic well-being of the Bertram family. Tom’s role in the family is only redeemed through the illness that brought him quite near death. At the end of the novel, Austen does give us hints that Tom will be a better man, but I’m not sure I’m convinced. Austen continues her indictment of the landed gentry with Sir Thomas himself. While he provides financially for his family, he is lacking as a husband and a father evidenced by the fact that his family, particularly his children, is far happier when he is away. Claire Tomlin sees him as self-righteous and overconfident in his own decision making. She cites his allowing Maria to marry a dolt, failing to control his sister-in-law’s bad behavior, and trying to force Fanny into a loveless marriage as evidence of his poor judgment (Tomlin 231). While I cannot argue with her assertions, I was not as hard on him as other readers have been. I see a man who is a product of his times. He is simply going through life “unconscious” of the details. He sees his primary responsibility to his family as one of financial security because wealth was the means to securing safe and stable futures for his children through desirable marriages, and in the case of Edmund, the means of allowing his son to pursue his calling to serve as a clergyman. Without the financial security that Sir Thomas provided, the family’s safety and future would certainly have been doubtful. Should he have been a “better” father? Certainly, there was room for growth – which he attained through the destructive behaviors of his daughters. He is forced to question his judgment and acknowledge that his children were a product of his failures to “bring them up” properly in addition to providing for them financially. To me, he comes out of the novel as one of the better characters. This exchange makes it pretty obvious that Mrs. Norris had given William much less if anything at all. 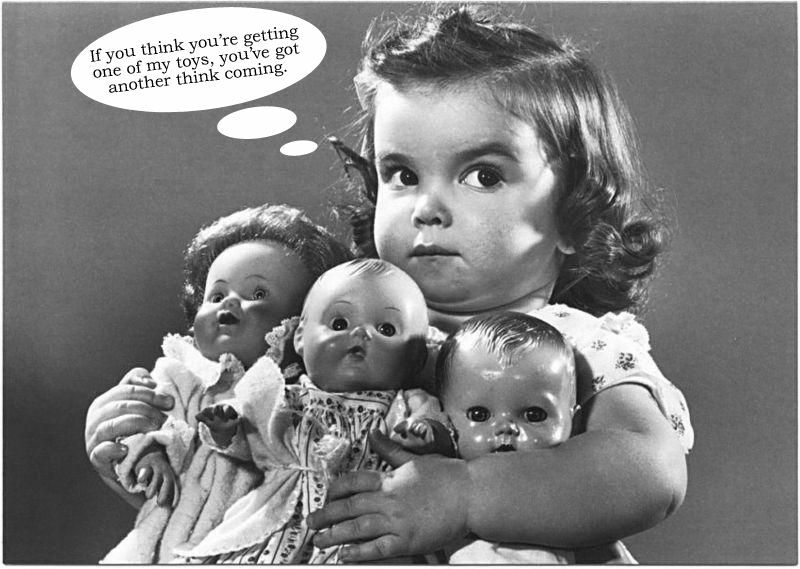 I like that Lady B takes the opportunity to deliver a little jab at her sister. In addition, I think she does truly care for Fanny. When she is in Portsmouth, it is noted that she talks of Fanny “almost every hour.” I think there is more to her missing Fanny than not having her needlework sorted out. Lady B truly misses Fanny’s company. Is Lady B still useless? Absolutely, but there is something a little endearing about her. She does not possess the malicious nature of her sister or her daughters, yet she lacks the tedious self-sacrificing nature of Fanny. She’s a nice, useless bit of a character who gives us a few humorous moments, for which I am eternally grateful, in a novel full of moral perfection and self-deprecating heroes and heroines. The vicious character can be none other than Mrs. Norris. 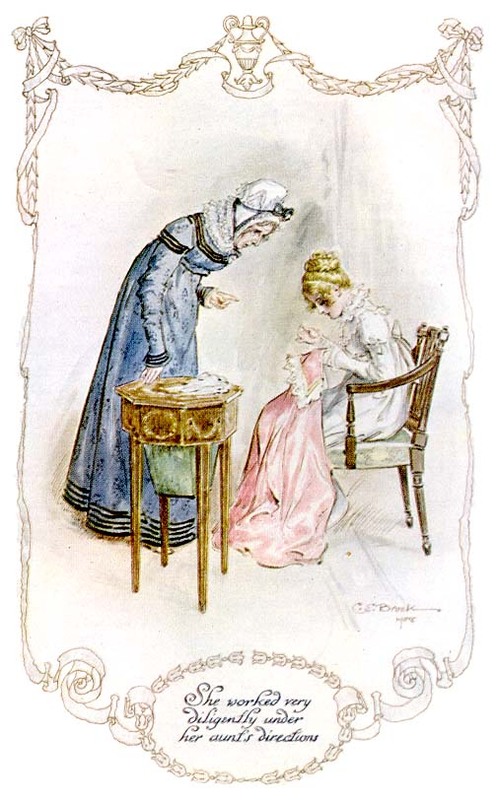 She is one of the most despicable (and very Dickensian) characters I have encountered in Victorian literature, and poor Fanny is completely at her mercy. Mrs. Norris is so awful that it’s almost comical because Austen does a wonderful job of setting up Mrs. Norris’s jabs at Fanny. They become predictable, so much so, that we as readers accept her awfulness and take it in stride just like Fanny does. Mrs. Norris lives in infamy even today as a character in J.K Rowling’s Harry Potter series. Rowling gave an interview where she stated that she ‘rereads Austen’s novels in rotation’ (Granger). Mansfield Park’s Mrs. Norris is likely the namesake of the caretaker’s sneaky, tattle-tale cat, who is always in to someone else’s business and thwarts people’s plans at every turn. I think that of all the adaptations of Austen’s characters, Mrs. Norris being cast as a cat may be the best and most fitting yet. The last category of female characters in this novel is the calculating. The Bertram sisters and Mary Crawford own this category. They are all quite beautiful, but unfortunately for our other unsuspecting characters (Henry Crawford included), their lovely faces hide very deeply flawed characters. All three of these girls spend the majority of the novel positioning themselves to better indulge their need to be desired by the young men in the novel. Of the three, the one I can tolerate least is Mary Crawford. She, like Fanny, prompts differing opinions from those who read the novel. Austen’s nephew George disliked Fanny and preferred Mary Crawford (Hannon 94). (Maybe George was fooled as thoroughly as Edmund.) I was pretty sure I didn’t like her when she became friends with the Bertram girls, but I became thoroughly disgusted with Mary Crawford when she intensified her pursuit of Edmund in light of Tom’s illness. She wasn’t sure she wanted the second son, clergyman, but she was absolutely sure she wanted the second son, clergyman turned heir. Her affection for Fanny might have been somewhat genuine, but I cannot believe that it was completely sincere. Mary Crawford is a self-serving young woman whose own wishes and desires outweigh those of any other character, including her own brother. The Bertram girls are no better. They are tedious and petty. I found myself growing very weary of their perpetual drama and snarkyness. They, like Tom, serve little purpose outside acting as a foil to Fanny’s “goody two-shoes” persona. Of course, Austen gives them their comeuppance at the end of the novel. While Julia may recover from her scandal, Maria will never be considered truly “fit” for society again. The very things these women, particularly Maria, banked on was their beauty, their social standing, and their wealth, all of which have been or will be removed from them due to their devious and selfish natures. The women of Mansfield Park are not necessarily tied to only one of the categories – most can make the leap between any of the three throughout the novel. However, I must admit that I find myself being muc h harder on the women of Mansfield Park than the men, and I wonder if I am alone in this. Am I harder on the women because I expect them to know better, being a woman myself? Is it my Southern background having grown up in a society of strong, capable women that makes me detest these weak and small-minded females? Is it that Jane had several brothers, so she herself had a soft spot for the men of this novel and it translated itself into the book? Regardless of the why, I am truly interested in reading the rest of Austen’s heroines because by all accounts, Fanny is the weakest and least likable of them all. I certainly hope that is the case. The themes of the novel are as hotly debated as the characters. Some of them jump out and almost slap the reader in the face, while others are more subtle, but no less intriguing. One of the most obvious themes was Austen’s examination of religion. Outside of Mansfield Park, Austen’s novels do not really discuss religion directly. This is interesting because Austen was the daughter, granddaughter, and sister of clergymen in the Church of England, and her letters indicate that she took her faith very seriously; however, Austen’s novels are not “preachy” at all. She kept her faith quiet and seemed to object to more obtrusive forms of Christianity as evidence by one of her letters to her sister, Cassandra. She states flatly, “I do not like Evangelicals” (Hannon 204). For all of the religious discussion in Mansfield Park, none of it feels like evangelism. No one is browbeating anyone with the demands of the Christian faith; however, there is repeated discussion of the responsibilities and expectations of clergymen. Austen does a beautiful job of juxtaposing Fanny’s expectations of life as the wife of a clergyman with Mary Crawford’s distaste for the simplicity expected of a clergyman’s lifestyle. Austen makes it very clear that there is no room for materialism in a life directed by religious devotion. The life of a clergyman and his family is one of service and sacrifice, the very fabric of Fanny Price’s existence and the very antithesis of Mary Crawford’s desires for her life after marriage. Fanny lives the life of sacrifice and service from the moment she arrives at Mansfield Park, but there isn’t a single instance of Mary Crawford giving up anything that she wants. Another of the prominent themes found in Mansfield Park is that of love and marriage. The marriages examined in Mansfield Park leave a lot to be desired. The individual who marries for “love,” Mrs. Price, has a chaotic and miserable existence with a man who has no respect for her or their lives together as husband and wife; however, the other marriages don’t fare much better. The Bertrams are rarely together; as a matter of fact, Lady B seems much happier and more at ease when Sir Thomas isn’t there. Mrs. Norris’s marriage may not have been as dysfunctional as the Bertrams, but it wasn’t much better. She spent her entire life at the whim of a man who would never “get well of his gouty complaints” and who “took up every moment of her time.” She had no children of her own; her only joy seemed to be her penny pinching frugality for the sake of her spoiled and ungrateful nieces. The other marriage to take place was that of Maria Bertram to Mr. Rushworth, a marriage born of mercenary motives which ended in divorce and scandal. The ONLY successful marriage in the novel was that of Fanny and Edmund, a marriage born neither of romantic love nor mercenary motives. This marriage springs from the source of sibling devotion and affection as the two lived together as young people. If one looks at the relationships that work in Mansfield Park, they are all born of true sibling devotion and have no other agenda. Fanny and William’s love for one another has no ulterior motive and no jealousies. Not once does William indicate the slightest resentment for the “luxurious” lifestyle that Fanny leads as a member of the Bertram household. He could very easily have compared it to the life we saw at Portsmouth and succumbed to jealousies and anger that Fanny received such an opportunity. As a reward for William’s nobility, honor, and love for his sister, he is rewarded with rank and consequence in his career in the Royal Navy. Fanny’s later relationship with Susan is the same. 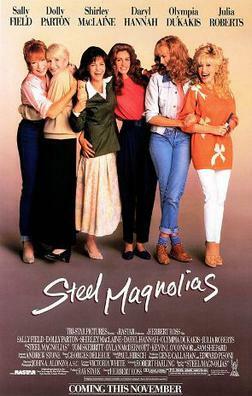 When she and Susan grow close during Fanny’s visit to Portsmouth, there is no jealousy in Susan, only a desire to live a better life, more refined and controlled. Susan is granted this when she removes to Mansfield Park to take Fanny’s place as Lady B’s companion. Even though there isn’t really a love interest on the horizon for Susan, she does earn the glorious reward of not having to live with/near their aunt Norris! 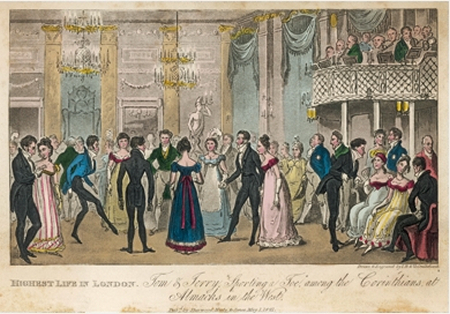 Fanny and William’s relationship is worthy of the rewards each of them receives; whereas, the Bertram sisters’ pride and jealousies earn them public disgrace and scandal, and the worst offender of the two (Maria), ends up ostracized from the very society and people whom all that wealth was supposed to impress. She ends up isolated from society with only her aunt Norris for company and support – just desserts for such a petty and vicious character. The Crawford siblings suffer the same public disgrace and have their share of scandal; however, they are not a damaged as the Bertram sisters. Mary Crawford really has no role in the situation, other than Henry is her brother and she was present for the unfolding of events. After some time with her sister, Mrs. Grant, she will likely recover at least some of her standing in society. Henry Crawford will most likely recover and be just fine. First, because he is a man, his indiscretions don’t carry the societal equivalent of a “death penalty.” Secondly, his personality is charming and witty. He will soon find a way to work the whole thing to his advantage – of this I’m pretty sure. Another duality present in Mansfield Park is that of the city versus the country. All things evil and destructive seem to come out of a bustling city environment – the Crawfords are from London, the Bertram girls’ scandals both take place in the city, and Fanny’s disastrous visit to Portsmouth is surrounded by bustling urban scenes. Mansfield Park demonstrates the idea that nothing good can possibly come from a city environment. At Mansfield Park, things may not always be perfect, but no one’s life gets destroyed. There is peace and contentment to be found in the country, and it seems the more isolated a location is, the more peace there is to be had. Edmund and Fanny retire to Thornton Lacey after their marriage. It is even further removed from town than Mansfield Park. This separation becomes necessary because Bertram girls’ scandals have marred the peace of Mansfield Park. In order for Edmund and Fanny to find their peace, they must be further from town than ever, thus their time at Thornton Lacey. Only after the scandals have died down and their participants have completely removed from Mansfield Park do Edmund and Fanny return to the neighborhood. Austen also explores the idea of where a person’s “home” is. After a miserable visit to Portsmouth, Fanny discovers that Portsmouth, with its loud and mismanaged environment, is no longer her home. 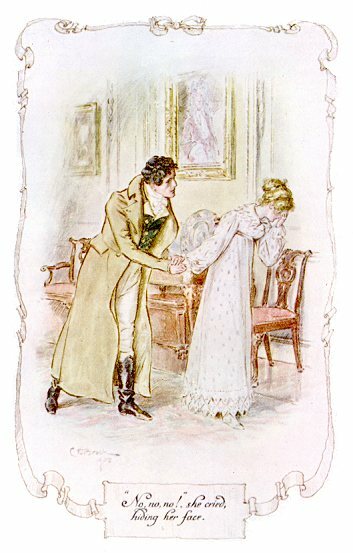 Mansfield Park becomes what she thinks of as “home,” not only because of Edmund’s presence, but primarily due to the contentment and comfort she finds there. Austen also presents the idea of having a place that is truly a “home” is a gift to be cherished. The Bertram girls lose the safety of such a home due to their selfish and reckless actions and are somewhat abandoned to drift through the world as best they can. Robert Frost’s idea of home is that “Home is the place, when you have to go there, they have to take you in.” The Bertram girls forfeited the safety net that home should always be.One of the most prominent themes is the idea of materialism, mercenary motives, and a love of money. Just about every disaster that occurs in the novel is due to a desire for or focus on money. Sir Thomas’s absence in his quest to secure his financial interests in Antigua leads, indirectly, to every disastrous event in the novel. The “theatre project” that is propagated in his absence is what allows all the young people to spend a great deal of inappropriate and unsupervised time together. This play (with its completely unsuitable subject matter) plants the seeds of discontent which result in Maria’s running off with Henry at the end and Julia’s elopement with the ne’r do well Mr. Yates. Maria’s quest to wed Mr. Rushworth (a quite fitting name, btw) is driven primarily by her desire (and her aunt Norris’s) for his money. This marriage of mercenary motives ends in disaster with a divorce and the public punishment of disgrace. There may be many sources of Austen’s distaste for the mercenary motives of people, but the battles that she fought with publishers over the course of her career might just have been the inspiration for her frustration and distaste for the money-hungry characters in Mansfield Park. There are countless themes to be discovered in a close-reading of Mansfield Park, and the novel’s characters still divide readers’ opinions two hundred years later. Whether we love or loathe Fanny Price, she inspires a passionate response from everyone who reads the novel. Writing as complex and compelling as Austen’s is often accompanied by a certain lack of “readability.” I have been amazed at how readable her work is, and how much I find myself enjoying her use of language. It isn’t convoluted or overdone; it is rich and powerful while being palatable and approachable. This unique combination makes any one of her novels a prime candidate for an enjoyable read that lends itself to some meaningful scholarship. Adams, Carol and Douglas Buchanan & Kelly Gesch. The Bedside, Bathtub, & Armchair Companion to Jane Austen. New York: Continuum, 2008. Print. Granger, John. Harry Potter’s Bookshelf. New York: Berkley Books, 2009. Web. Hannon, Patrice. 101 Things You Didn’t Know about Jane Austen.­ Avon, MA: Adams Media, 2007. Print. Lane, Maggie. Jane Austen’s World: The Life and Times of England’s Most Popular Author. Holbroook, MA: Adams Media, 1996. Print. Tomlin, Claire. Jane Austen: A Life. New York: Alfred A. Knopf, 1997. Print.